Coll. No. 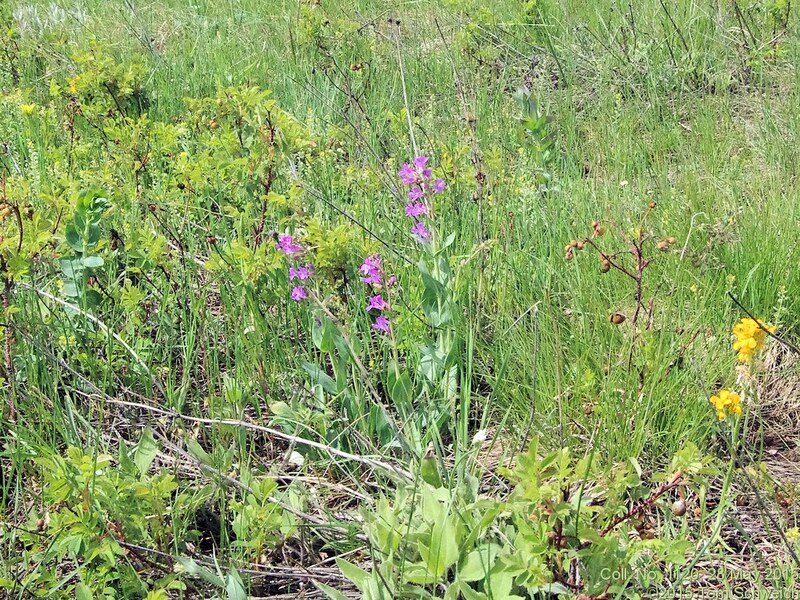 1120, 28 May 2015, characters observed: Perennial herb, to 40 cm., caulescent, eastern slope; Leaves, opposite, well-spaced, sessile, 66 mm. × 23 mm. wide, lanceolate, entire, glaucus; Inflorescence, axis glabrous, not glandular-hairy, flowers mostly on one side of the stem; Calyx, 5 mm., with purple-tinged sinus tissue; Flowers, 18 mm., magenta; Stamens, inserted; Staminode, 1.8 mm. wide at tip, hairy; Anther, sacs, glabrous on side opposite dehiscence. Field Notes: Coll. No. 1120, 28 May 2015.